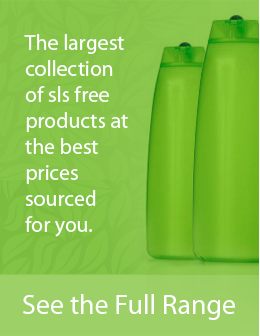 While we have an obvious focus on Sodium Lauryl Sulfate free products on slsfree.net we also have an active interest in any chemical ingredient added to shampoos, toothpastes and other cosmetics. After all, regular use of a Sulfate Free Shampoo that still contains potentially nasty chemical ingredients is somewhat defeating the purpose. One such chemical that get’s quite a bit of attention (and has done for some time) are Parabens, which are believed to be an ingredient in over 75% of all cosmetic products. In this article we’ll take a closer look at Paraben free shampoo and cosmetics and provide you the information from both sides to help you make an informed choice on whether you should be using a Paraben free alternative. 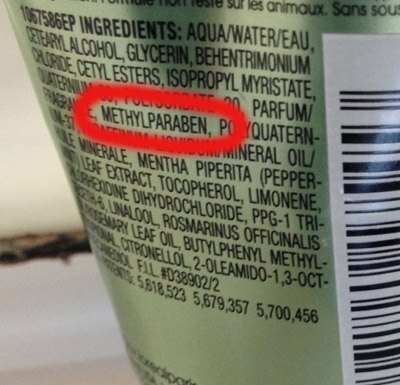 You will no doubt have seen Paraben free labeling on many cosmetic products, most commonly shampoos, but are they dangerous? Should you be as concerned as you might be over Sulfates? A lot of manufacturers have introduced a Paraben free line or even gone completely Paraben free. Don’t be fooled into thinking this is evidence that they are dangerous however, this is merely a reaction to consumer concern. In reality the perceived truth is just as damaging as the actual truth for shampoo manufacturers when it comes to sales. As a result shampoo and skin care companies have mostly fallen into line, even though many remain unconvinced Parabens are an issue at all. Even supposed ‘Natural’ shampoos often contain synthetic ingredients such as Parabens. Parabens are essentially another word for preservatives. Preservatives are required for shampoos or any organic substance that is required to have a shelf life, e.g. how long a particular product remains acceptable to use under normal conditions. This is because most of the ingredients that make up shampoos are subject to decomposition unless a preservative is used. Parabens have Antibacterial and Antifungal properties which allow shampoos a long shelf life, in some cases many years. Another example of a preservative is salt, which has been used since the earliest of times due to it’s ability to absorb water which makes for an environment unlikely to allow Bacteria and Fungi to develop. Plants benefit from Parabens in exactly the same way the products we add them to do. They help plants defend themselves against Fungi and Bacteria. Generally the level of Parabens found in plants are very low e.g. less than .005%. The use of Parabens in shampoos is nothing new, in fact Parabens have been included in shampoo since the early 1900’s. They are the most common form of preservative for shampoo and skin care products. Parabens are extremely common in the cosmetics industry. Are they Dangerous? Should we all be using a Paraben Free Shampoo? 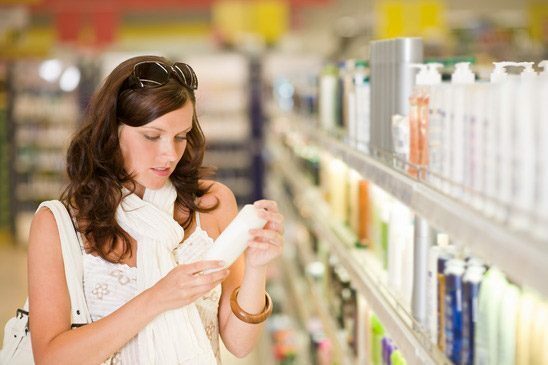 There is debate surrounding the use of Parabens in cosmetics, particularly concerning the suspicion of it’s ability to mimic Estrogen (also spelt Oestrogen). Estrogen is linked to breast cancer due to it’s ability to stimulate breast cell division and secondly it’s ability to interact with other hormones that are believed to promote cell division. You can see an interview with Philippa Darbre below in where she discusses her findings. The American Cancer Society questions why non-cancer tissue wasn’t also tested and they also point to the fact that just because Parabens were detected doesn’t mean they play any role in the development of Breast Cancer. In addition, they make the case that high Estrogen levels in the body have a much higher risk of causing Cancer. Still unsure? It’s hardly surprising. Below are the commonly accepted arguments for and against the perceived dangers. There is evidence to suggest it can mimic Estrogen which can be linked to breast cancer and early puberty in girls. While nothing has been proven as far as a link to Cancer, there is no concrete proof it isn’t a concern. This leaves many to fear the unknown and with good reason. Asbestos, tobacco anyone? Parabens are non toxic and wont affect sensitive skin in the way some Sulfates such as Sodium Lauryl Sulfate can unless the patient has a known allergy. While the ‘argument against Parabens being harmful ‘ is stronger, it’s important to remember those that are suspicious of Parabens don’t necessarily require evidence that prove it’s a health concern. The fact that any doubt exists is enough to concern many consumers. It’s a trust issue and many of us don’t trust the cosmetics industry. 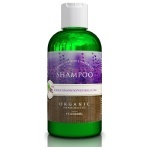 Below are a list of the best Sulfate Free and Paraben Free Shampoos. Christina Moss Naturals Shampoo is our number one choice and one of our all-time favorite shampoos. It’s a terrific formula that cleanses your hair and makes it feeling healthy and vibrant. There just aren’t many shampoos that can compare, it’s a salon quality shampoo at an affordable price. The company is also environmentally friendly. If you’ve never tried Argan Oil shampoo before then you should definitely try it out, because it can give your hair that perfect shine that you see in commercials. 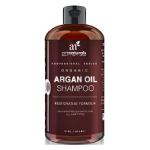 ArtNaturals Argan Oil Shampoo will also moisturize your hair and will leave it feeling soft. You can look forward to washing your hair and instantly seeing the results. 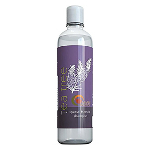 Maple Holistics Tea Tree Shampoo is a fantastic shampoo that is able to help get rid of dandruff while stimulating new hair growth. It has a powerful formula of natural ingredients that will leave your hair feeling clean and fresh. Many people swear by this brand. Personally I like to exercise caution, but that doesn’t mean I believe Parabens are dangerous. In the end, who wants to take a chance when there are any number of good Paraben free shampoo and skin care products available. The other point to consider is that there are just too many variables to take into account- we can all be affected differently by different things. There is no greater example of this than in the case of mold allergy. Some people are completely unaffected while others become very sick. Because of this it’s very hard to prove or disprove whether some organic or synthetic products are actually dangerous or even carcinogenic. This can relate to a range of issues including general health, existing allergies and even the fact that the patient might have a condition or illness that makes them more susceptible. As with most chemicals used in the cosmetics industry, the long-term effects are largely unknown. It’s fair to say our shampoos and toothpastes require closer scrutiny. I like to play it safe, which is why I use a Paraben free shampoo and recommend others do the same.